Everybody has a different definition for the word “home.” For some, it’s the house they live in. For those with a more UNESCO-themed mindset, home is the planet Earth, our globally shared clump of rock hurtling through the dark reaches of space. But like an earthworm in a soccer field, we really live in something much larger than any of those, something so vast it’s impossible to comprehend in any meaningful sense. And we’re not even talking about anything as grandiose as the universe—we just mean the Milky Way, our own little puff of dust amid the infinite sandstorm of known reality. Our galactic home. The Milky Way is what’s known as a barred spiral galaxy—it’s shaped like a spiral with a straight bar across its center. 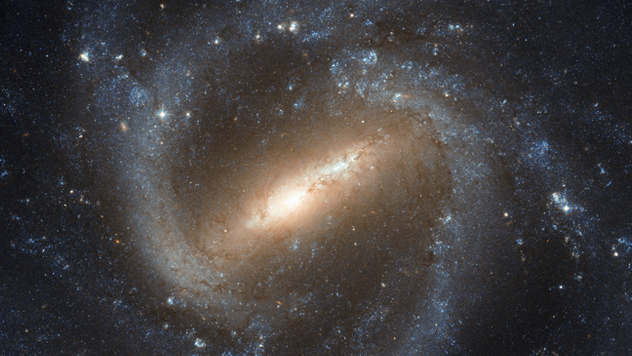 About two-thirds of the galaxies in the known universe are spirals, and about two-thirds of the spiral galaxies are barred, making the Milky Way one of the most common types of galaxies. Spirals like the Milky Way have arms that stretch out from the center like wheel spokes and curl back around the hub. Our solar system is perched in the center of one of those spokes—the Orion Arm. The Orion Arm was once considered a “spur,” a minor protrusion compared to major arms like the Perseus Arm and the Carina-Sagittarius Arm. However, it’s recently been suggested that the Orion is actually a branch of the Perseus Arm and doesn’t originate in the center of the galaxy at all. 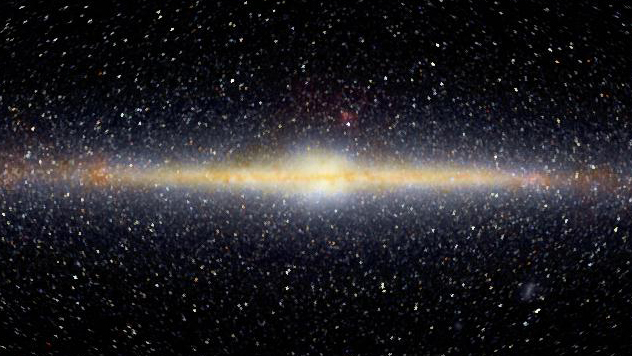 The problem is, it’s hard to really get a clear picture of our galaxy. It’s the same reason you can’t see California from Beverly Hills—you’re too immersed for perspective. We can only see the things that immediately surround us, and judge the general shape—and our position within that shape—based on our limited viewpoint. As it is, our speck on the Orion Arm is some 550 parsecs from either edge of the arm and about 8,000 parsecs from the center of the galaxy. One parsec is roughly 30.9 trillion kilometers (19.2 trillion mi)—we’re as isolated as can be. 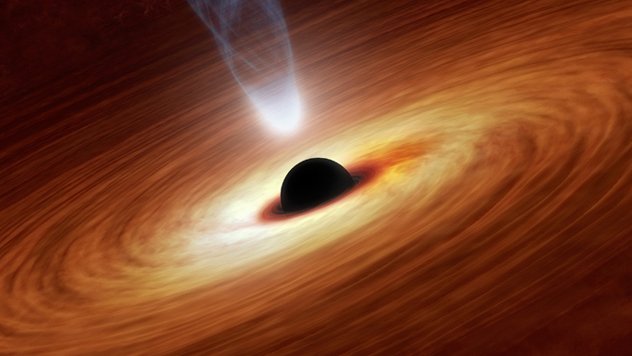 The smallest supermassive black hole we’ve calculated has roughly 200,000 times the mass of our sun. Compared to a regular (“stellar-mass”) black hole, which has the mass of about 10 suns, that’s a respectable size. But it doesn’t hold a candle to the supermassive black hole situated at the center of the Milky Way. For the past 10 years, astronomers have been following the activity of stars in orbit around Sagittarius A* (pronounced “A star”), the dense region in the middle of our galaxy’s spiral. Based on the way those stars are moving, they’ve determined that in the middle of Sagittarius A*, hidden behind a thick cloud of dust and gas, is a supermassive black hole with 4.1 million solar masses. This animation shows the actual movements of the stars around the black hole from 1997 to 2011 within a cubic parsec of the center of the galaxy. When stars get close to the supermassive black hole, they slingshot around it with incredible speed. One of the stars shown, S0-2, is moving at 18 million kilometers (11.2 million miles) per hour as the black hole’s influence pulls it close and shoots it out the other side. And more recently, we’ve seen a gas cloud approach the black hole and then be ripped to shreds by the hole’s massive gravitational pull. As pieces of the gas cloud get sucked in before other parts, the cloud “spaghettifies”—it stretches into incredibly thin strands more than 160 billion kilometers (99 billion mi) long. In addition to a giant, matter-sucking hole of oblivion, the center of the Milky Way is also the location of an enormous amount of activity—stars are dying and bursting to life in a constant cycle. And recently, we’ve seen something else coming out of the galactic hub—a stream of high-energy particles that stretches over 15,000 parsecs across the galaxy. That’s more than half of the entire width of the Milky Way. They’re invisible to the naked eye, but with magnetic imagery, the particle geysers can be seen across almost two-thirds of our sky. What’s causing the phenomenon? One hundred million years of star formation and decay, fueling a never-ending jet creeping towards the galaxy’s outer arms. The total energy in the geyser is over a million times that of a supernova and the particles are traveling at supersonic speeds. And it’s not random—based on the structure of the particle jets, astronomers are building a model of the magnetic field that governs the entire galaxy. 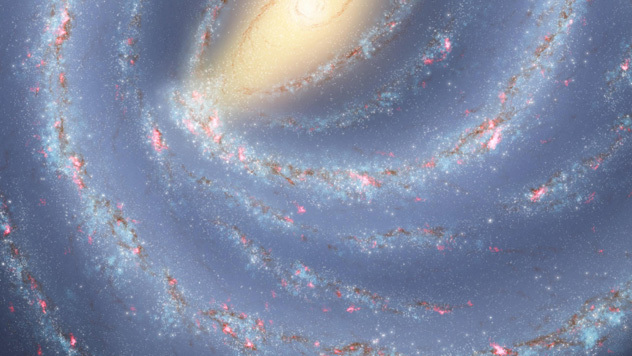 So just how often is a new star born into our galaxy? That’s the question Dr. Roland Diehl and a team of astronomers have been trying to figure out for years. They’ve been mapping the presence of aluminum-26, an aluminum isotope that’s almost always found in the region where a star forms or dies. Based on the way dust pockets of this aluminum have decayed, they estimate that the Milky Way gives birth to seven stars each year. And about twice a century, a large star bursts into a supernova. In the realm of galactic activity, the Milky Way isn’t the largest star producer, but it’s healthy. When a star dies, it spews raw material—like hydrogen and helium—into space. Over hundreds of thousands of years, those particles collect into molecular clouds, which eventually become so dense that their center collapses under its own gravitational pull and forms a new star. It’s like an ecosystem—death feeds life. The particles in any given star were likely part of billions of other stars at some point. The fact that the Milky Way is active like this propels its chemical evolution and leads to the formation of new environments, increasing the probability of planets with Earth-like conditions. Despite all the deaths and births of stars in the Milky Way, there’s a pretty constant total—about 100 billion. And based on a new study, it’s believed that there’s at least one planet for every star floating around out there, and probably more. In other words, there are somewhere between 100 billion and 200 billion alien planets in our corner of the universe. 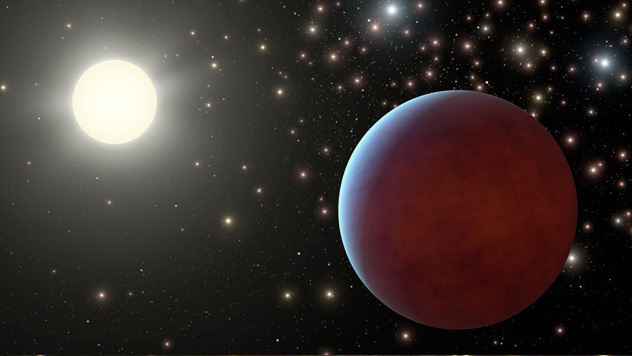 The researchers who came to that conclusion studied a single type of star known as M dwarfs. These are smaller than our sun, and they make up roughly 75 percent of the stars in the Milky Way. In particular, they watched Kepler-32, a relatively nearby M dwarf with five planets in its system. Planets, unlike stars, are difficult to detect because they don’t give off their own light. The only time we can identify a planet for sure is when it crosses between its sun and Earth, creating a little dark spot. Kepler-32’s planets follow a few specific behaviors that have been observed in other exoplanets around M dwarfs—namely, similar size and distance from the star. Based on that data, they turned Kepler-32 into a model for planetary occurrence across the galaxy. It’s not exact, but as one researcher put it, it’s like a language—the “language of planet formation.” Using the Kepler model, they can “read” any given star to determine the likelihood that it harbors planets. One hundred billion planets is, in technical terms, a lot of planets, but how many of those are similar to Earth? Relatively speaking: not a lot. There are dozens of different types of planets—gas giants, pulsar planets, brown dwarfs, and planets that rain molten metal from the sky. Even the ones made of rock are usually either too close or too far away from their star to support anything that would resemble life as we’re used to it. However, the results of a recent study revealed that there could be more than we had previously thought in our galaxy—estimates run between 11 billion and 40 billion. Researchers took a sample of 42,000 stars that were similar to our sun, then set out looking for exoplanets inside the fabled “Goldilocks Zone,” named after the fairy tale (not too hot, not too cold, but juuust right). They discovered 603 exoplanets around those stars, and 10 of them fit the bill. Analyzing data from the stars let the scientists deduce the existence of billions of similar planets that we’ve yet to officially discover. Theoretically, these planets can maintain the right temperatures for liquid water, which would facilitate the spawn of life. No matter how often a star is born, there’s no way for the Milky Way to grow if it doesn’t pull in new matter from another place. And the Milky Way is definitely growing. Though we previously weren’t sure exactly how that growth was happening, recent findings suggest that the Milky Way is a cannibal—it has consumed other galaxies in the past and will probably continue to do so, at least until a larger galaxy comes along and pulls us into it. Using the Hubble Space Telescope and information from about seven years of photos, researchers found stars along the outer rim of the Milky Way that were moving tangentially. Instead of moving either toward or away from the Milky Way’s core, like every other star, they just sort of drifted along sideways. The star cluster is believed to be a remnant of another galaxy that was absorbed by the Milky Way—crumbs left over from its last big meal. That collision likely occurred billions of years ago, and it won’t be the last one to happen. 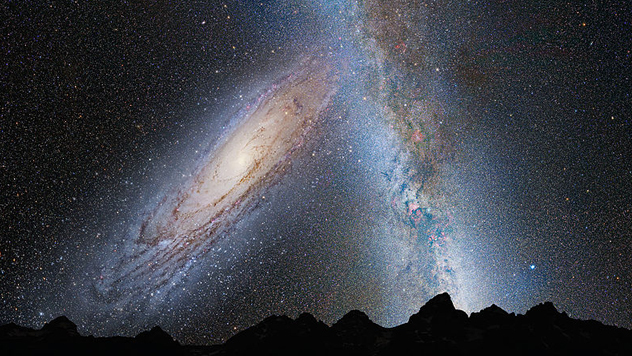 At the rate we’re moving, we’ll likely eat the Andromeda galaxy in around 4.5 billion years. Too bad none of us will be around to see it. Although the Milky Way is a spiral by definition, that’s not an entirely accurate way to think about it—there’s actually a bulge at the center of the galaxy, so the whole thing sort of looks like a pancake with a pile of whipped cream on each side. The warped section is the result of hydrogen gas molecules stretching away from the two-dimensional plane of the spiral. For years, astronomers were mystified by the seemingly inexplicable warping. By all logic, the gas should be pulled toward the disk, not away from it. The more they studied it, the deeper the mystery ran—because the molecules in the warp are not only pulling away, they’re vibrating at a frequency of their own. So what’s causing it? 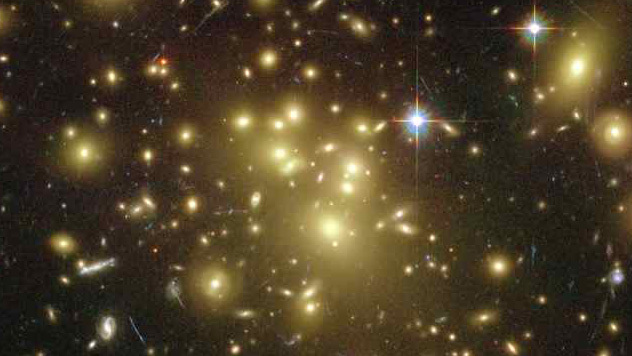 As far as we can tell, dark matter and a duo of small galaxies known as the Magellanic Clouds. When they’re put together, the Magellanic Clouds have about 2 percent of the Milky Way’s mass—not enough to affect it much. But when dark matter moves through the Clouds, it creates ripples that apparently affect their gravitational pull on the Milky Way. This strengthens the pull and entices the hydrogen away from the center of our galaxy. And it gets even weirder. The Magellanic Clouds orbit the Milky Way, so as they make each revolution, the spiral arms of the Milky Way flap in response to their presence like a flag waving in the wind. While the Milky Way might be unique in many ways, it’s safe to say it’s not exactly rare. We already mentioned that spiral galaxies are one of the most common types in the universe; add to that the fact that there are around 170 billion visible galaxies, and it wouldn’t be a stretch to imagine that there could be a few galaxies out there very similar to our own. But what about one that’s almost an exact replica of ours? In 2012, astronomers discovered a galaxy that shares a likeness with everything we know about the Milky Way. 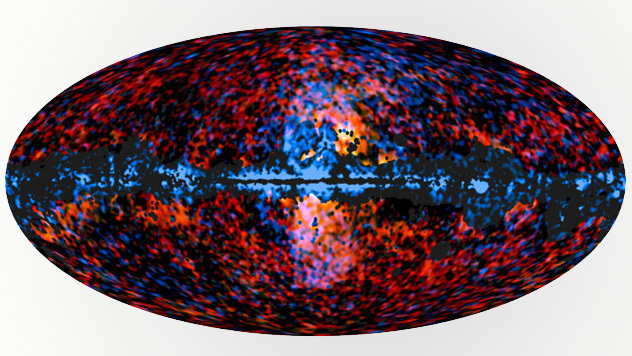 It even has two small satellite galaxies orbiting it, perfectly corresponding to our own Magellanic Clouds. And that’s rare—only 3 percent of spiral galaxies have companion galaxies like that, and they don’t last long. The Magellanic Clouds will probably dissipate in a couple billion years, a leisurely afternoon on the cosmic time scale. To find another barred spiral with a supermassive black hole center that also has two satellite galaxies the same size as our own is highly unlikely, to say the least. The galaxy is named NGC 1073, and it’s so similar that astronomers are actually using it to learn more about our own galaxy. Since we’re too deeply embedded for any kind of perspective on the Milky Way, NGC 1073 gives us that top-down view that we’ve always needed to fully study our own neighborhood. 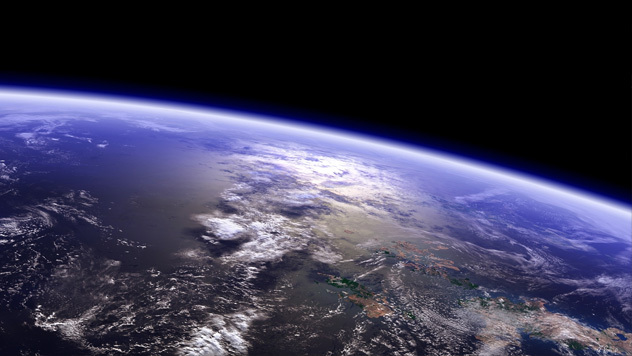 On Earth, a year is determined by the length of time it takes the planet to orbit the Sun. Every 365 days, we’re right back where we started, generally speaking. It makes sense then that our entire solar system is similarly orbiting the black hole at the center of the Milky Way. It just takes a little longer, to the tune of 250 million years for each rotation. In other words, we’ve made about a quarter of a single orbit since the dinosaurs died. Descriptions of the solar system rarely mention that it’s spinning through space just like everything else. We’re actually traveling at about 792,000 kilometers (483,000 mi) per hour relative to the center of the Milky Way. To put that into a more easily relatable example, that speed would take you around the Earth in just over three minutes. Each time the Sun makes it all the way around the Milky Way, it’s known as the galactic year, or cosmic year. 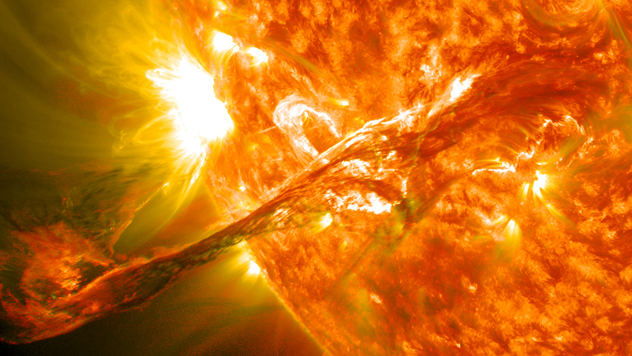 It’s estimated that there have been only 18 galactic years in the history of the Sun.